Great place to stay! Staff was amazing! Lots of extras. 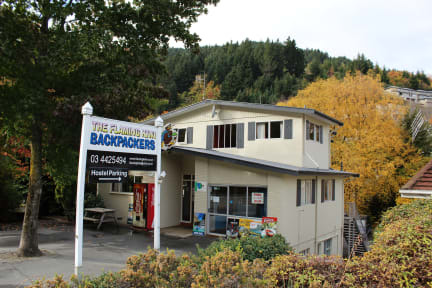 Got to be one of the best hostels in queenstown, super friendly and helpful staff. 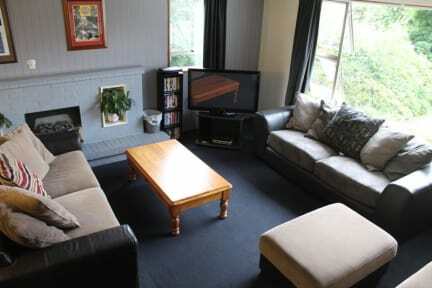 Nice rooms and good cooking facilities, everybody staying there was friendly and the atmosphere is real good. Can't fault in any way. Loved it and staff were great ! Good location. Staff was very helpfull about hostel and city. The guy in the front was really friendly and helpful. The atmosphere was wonderful as well. Tons of cool people who immediately invited us out. Great location in easy walking distance to literally everything we wanted to do. The staff is EXCELLENT and so helpful with all questions!! Got given an ensuite room which was cool as I didn't pay for it! Three kitchens which was pretty useful and the reception staff were all friendly. Only annoying thing was the balcony would be locked at 8pm. Met some cool people here! Place is pretty well kept, staff are friendly and facilities are good. Bikes and frisbees available for free, however the bikes could do with a bit of a service; they're not unrideable but the brakes are a bit dangerous and you have to be careful with them.